Librarians from South Berwick Public Library, Ann Marie Townsend and Karen Eger, came to Central to get students excited about their summer reading program. Welcome to "Let's Read"! 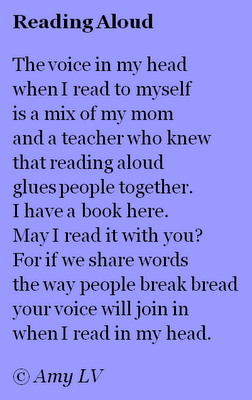 The goal of this website is to share ideas about reading with our Central School families. We've gathered up tips and resources from a variety of helpful links, and we hope you enjoy trying out some of the ideas. We wish you many moments of joyful reading experiences with your children.